David Larot is a Bay Area native who began his practice in 2002. After years of skateboarding and snowboarding his body had taken it’s toll of injuries including a torn ligament in his shoulder. Experiencing the benefits of yoga lead him to realize that he had found the missing link to an active lifestyle. In 2004 he started leading classes under the guidance of his teacher. It was an unexpected calling but nonetheless he found a new passion.In 2008 David enrolled in the 200hr teacher training intensive at YogaWorks SF. 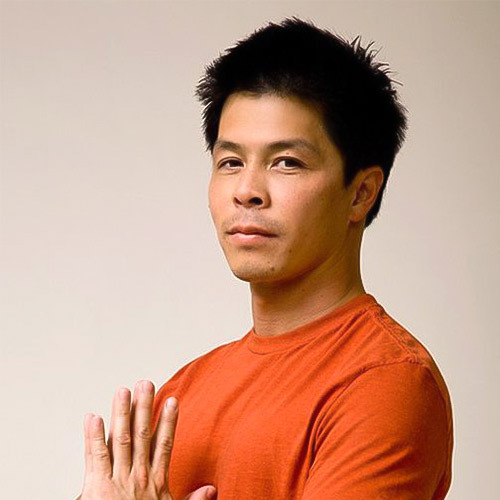 Inspired by his mentor Nikki Estrada, he went on to complete his 500hr training, and in 2010 decided to take the big leap from his full time job of ten years with AT&T to putting all his energy and focus into teaching and sharing the practice of Yoga. Since then, David has built a solid schedule of classes around the Bay Area. Having practiced and trained in various styles including Iyengar and Ashtanga, David’s classes have evolved into a deep, methodical and dynamic flow, while focusing on the importance of breath and the principles of alignment.